Every spring, the Texas Hill Country blooms into a colorful cascade of delicate Bluebonnets, Indian Paintbrushes and Indian Blankets, as wildflowers blanket the meadows, fields and valleys near Austin. Bring your camera, and your sense of wonder, as you scout out these top 10 spots for spectacular wildflowers in and around Austin. 1. There’s no time like springtime to visit the Lady Bird Johnson Wildflower Center in southwest Austin. The Center displays 800 native Texas plant species (including bluebonnets and other wildflowers) in gardens, meadows and nature trails. Visitors can also explore the family garden, dine in the cafe, buy souvenirs at the gift shop and more. 2. Just south of downtown, on South Congress Avenue, is the beautiful St. Edward&apos;s University. Head to the campus grounds for lovely fields of bluebonnets. One of the best fields is located on the corner of St. Edwards and University Loop Drive. 3. Located just 13 miles southeast of downtown, McKinney Falls State Park offers 726 acres of hiking and cycling trails, playgrounds, picnic areas, a campground and beautiful swathes of bluebonnets. 4. About 20 miles north of downtown, Brushy Creek Lake Park in Cedar Park is a 90-acre oasis with nature trails, a 38-acre lake and scenic picnic areas. Bring a lunch to enjoy alfresco, and then stroll around the park to see the wildflowers on display. 5. 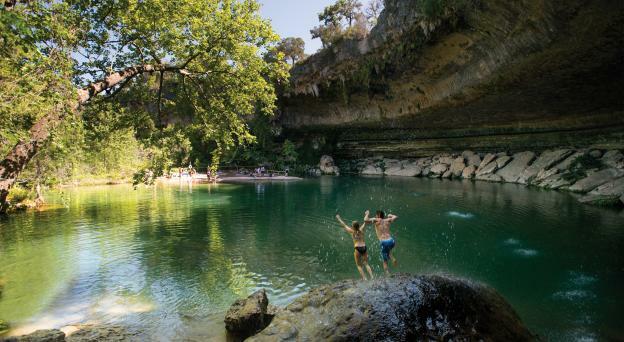 An hour northwest of Austin, Muleshoe Bend Recreation Area is tucked into a bend of the Colorado River, boasting wide-open riverfront views, boating, camping, picnicking and fields of lush, green grass speckled with fists of bluebonnets. 6. In Round Rock’s Old Settlers Park, take your pick from more than 40 picnic areas, and then stroll the grounds to see violet bluebonnets and red Indian paintbrushes. 7. For an easy day trip, drive an hour and 40 minutes from Austin to historic Fredericksburg in the Texas Hill Country, where you’ll find Wildseed Farms, a family-owned wildflower farm with seemingly endless fields of blooms. 8. 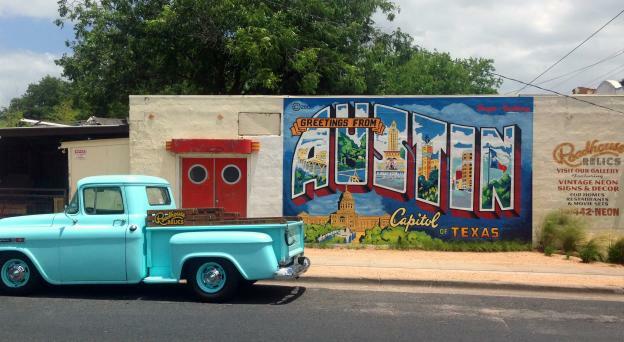 From Fredericksburg, drive north up Highway 16 to Llano, just 40 minutes away. The wildflowers along Highway 16 are plentiful, so the drive is picturesque. 9. 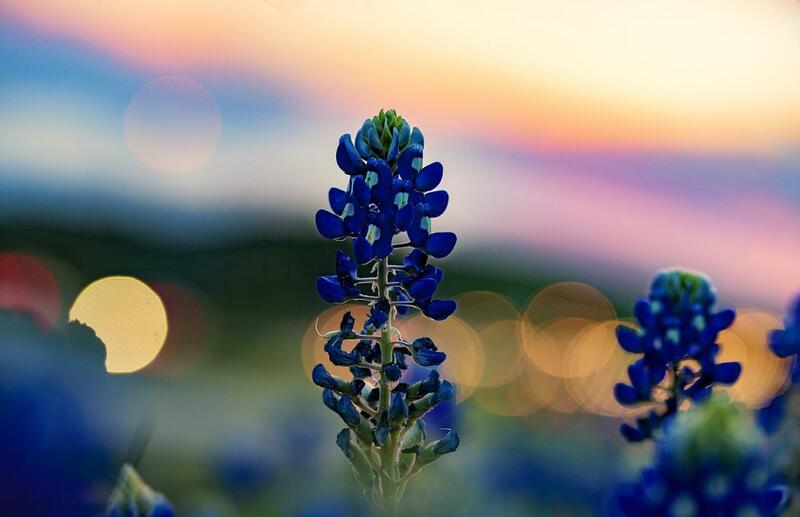 A 30-minute drive east of Llano on Highway 29 is Burnet, known as the “Bluebonnet Capital of Texas.” Stop to see the giant bluebonnet statue, or visit in April during the annual Bluebonnet Festival, featuring live music, parades, kid-friendly rides and a wildflower show. 10. On scenic Highway 281 between Burnet and Marble Falls, you’ll come across what’s often been referred to as “The Bluebonnet House,” an abandoned two-story stone home surrounded by a field of bluebonnets, Indian paintbrush and old oaks. Stop and snap a picture—after all, it’s believed to be the most photographed house in Texas. Looking for more wildflower information? Explore the new Texas Wildflower Central website, to find additional resources and information on Texas wildflowers, from drive routes to plant IDs.